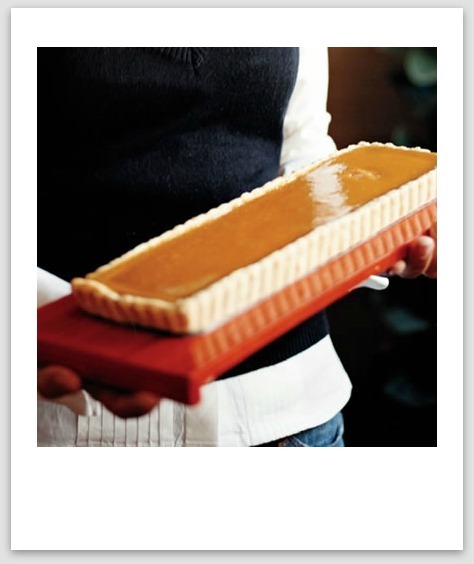 as i was going through last year’s bon appetit thanksgiving issue looking for recipe ideas for our holiday dinner party, i stumbled upon this little treasure. it is a yummy twist on the traditional sweet potato dish with marshmallows. after making the base batter, you fold in a homemade meringue, which makes it refreshingly light and not a heavy, filling dessert. and the topping is sweet and crunchy, the perfect crust for such a fluffy, sweet pudding. 2. for the pudding: preheat oven to 400. roast potatoes on a baking sheet until tender, 45-60 minutes. cool; cut in half lengthwise. scoop flesh into a bowl & mash. transfer 4 cups of mashed sweet potatoes to a large bowl. cover and chill. (this also can be done one day ahead.) bring to room temperature before continuing. 3. preheat oven to 350. butter a 13×9 baking dish. add half & half and next 4 ingredients to the mashed sweet potatoes. using a mixer, mix on low until blended. add a few pinches of salt. add yolks 1 at a time, blending after each one. 4. using clean, dry beaters beat whites in another large bowl until foamy. add salt and cream of tartar. beat until peaks form. 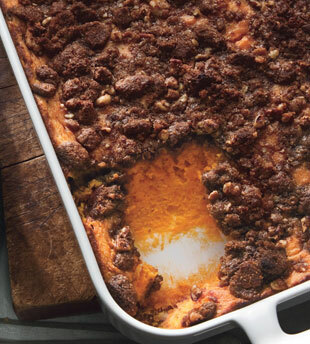 fold whites into the sweet potatoes; spoon into baking dish. sprinkle with topping. 5. bake pudding until puffed and brown, about 45 minutes. serve immediately.